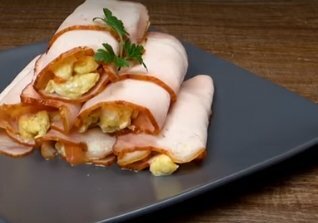 This egg roll up recipe is an adaptation of a typical ham, egg and cheese roll up. With the changes I've made, it's Weight Watchers FreeStyle friendly with just 1 SmartPoint. Instead of ham, turkey deli luncheon meat is used as this is now a zero point food on the freestyle plan. Of course the fat is reduced even further by using low fat cheese. The beauty of this breakfast recipe is you can add (or subtract) veggies to your taste without changing the WW Points Plus or SmartPoints. Without further ado, here is my twist on this breakfast classic. This is my adaptation of a recipe I found on delish.com. Instead of ham, I am using turkey breast luncheon meat (zero points on the FreeStyle program. I also added some parsley for extra flavor and am using skim milk to mix the eggs (tastes creamier this way). I am using low fat cheese (which doesn't melt as well) but saves on some Weight Watchers points. In a large bowl, mix eggs, milk salt and pepper. Coat bottom of skillet with cooking spray. Heat on medium. Add egg mixture and scramble stirring occasionally. Add shredded cheese and cook until melted. Stir in baby spinach, tomatoes and basil until combined. On a cutting board, place two slices (slightly apart but overlapping) of the turkey breast luncheon meat. Place a large spoonful of egg mixture on top of turkey slices. Roll up and place in baking dish (seam side down). Repeat with remaining turkey slices and egg mixture. Broil until crispy, approximately 5 minutes. The turkey breast slices, eggs and vegetables were not included for the calculation of FreeStyle SmartPoints. The veggies are not included in the other points calculation. The beauty of this egg roll up recipe is you can easily mix it up for a different taste each time you make it. For instance, instead of cheddar cheese you can use mozzarella or even Swiss cheese. Instead of spinach, saute up some bell peppers to add the the roll up. Here's another recipe using turkey slices. These asparagus roll ups have only 1 FreeStyle SmartPoints. Here's the recipe from delish.com that inspired this recipe. 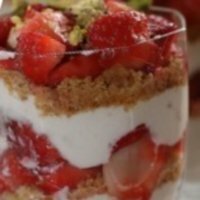 Made with non-fat yogurt (a zero point food) this breakfast has fewer SmartPoints than other parfaits. 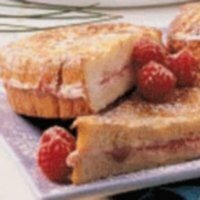 Stuff yourself at your next brunch with this stuffed French Toast recipe Filled with cream cheese and sweet sugar free raspberry preserves. 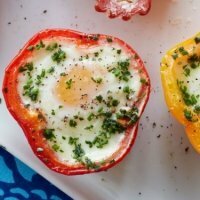 If you loves eggs and bell peppers, this is the recipe for you... and it's another WW FreeStyle friendly recipe. 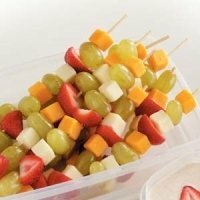 This appetizer recipe has lots of flavor from the various fruits and creamy cheese. 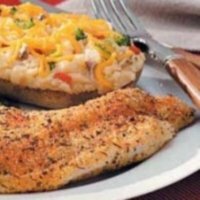 The cajun seasonings really bring out lots of flavor in this catfish recipe. 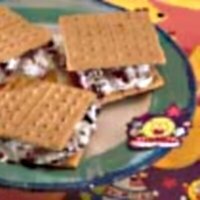 Who doesn't want S'more! This one adds some tart and taste with the dried cherries giving it a fun flavor. Trying to eat healthy can sometimes be tricky. Are you getting the right nutrients? Am I getting the daily recommendations? These questions and more can be answered when you know how to properly read food labels. Portion control is a key component in any healthy diet. But what's the right amount for you? Learn more about portion sizes. Don't just count your carboydrates. Make sure the carbs you eat are the healthier options.